Click here to see a usage & benefits matrix for our range of wipes. Use our Micro-fibre mitt or scrim cloth to remove residuals. Our Stainless Steel Wipes contain no harsh chemicals yet are designed to remove grease & stains and leaving behind only the pleasant scent of citrus oils and a shine. There are 40 wipes per container. Using our scrim cloths afterwards leaves a beautiful finish. Simply rub stain and/or leave the dampened towel on stains to penetrate, remove and deodorize them, leaving no residue. Use in conjunction with the Guzzla microfibre cloth to remove all traces of liquids. These wipes are designed for cleaning and polishing brass, silver and other decorative metal finishes. 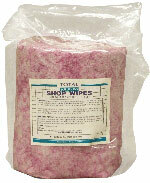 Our Scrim Micro Fibre cloth can be used in conjunction with these wipes. These wipes remove the need for rags, soap & water. They can be left in their handy container at the point of need to save time and improve productivity. The container holds 70 wipes. 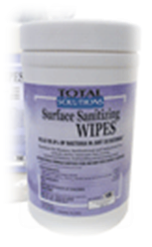 Hand Sanitising Wipes are useful at work stations where sanitatry conditions are important. Kept to hand they improve safety and productivity. They come in a tub of 70 or in packs of 525 to be used in a small centre pull dispenser. 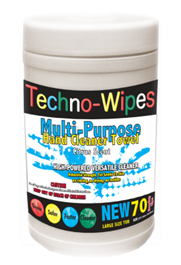 These Facility Wipes are designed to clean and deodourize all surfaces, anywhere. Place these to hand to ensure the quick and easy cleaning of equipent, furniture, surfaces, etc. saving on time. They come in packs of 800 to fit into our large dispenser. These wipes are pre wet with a broad spectrun sanitiser designed to kill 99.9% of bateria. Position these at strategic points to make it simple & quicker to keep a sanitary and clean facility. Available in 250 count packs for a small dispenser or in portable tubs of 100 towels. Use these multi purpose towells to allow workers to clean therir hands at their workstations andf have something to hand to clean off tools and equiment. A great aid to productivity and a solution for keeping clean work spaces. The wipes are in rolls of 400 which fit our large dispenser. These are convenient wipesfor cleaning and deodourizing surfaces in one step, avoiding messy rags & spray bottles. The 1100 wipe rolls will fit our small dispenser. 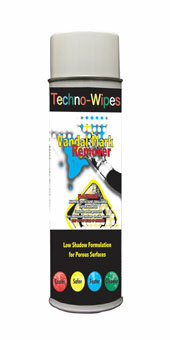 Vandal Mark Remover will remove graffiti even from porous surfaces. The aerosol clings to surfaces allowing you to brush, wipe or pressure hose it off. It removes paint, lipstick,grease, ball point ink and crayon. You can use our Micro-fibre mitts and cloths in conjunction with the aerosol. This stainless steel cleaner carries an oil that leaves the surface with a lustre and a pleasant citrus smell. When used in conjunction with our micro fibre scrim cloth it leaves a superb finish. 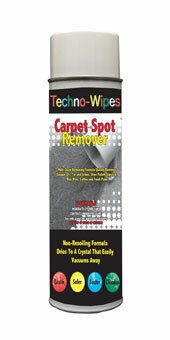 Techno Wipes Carpet Spot Remover penetrates, cleans & deodourizes without leaving residues. Our micro fibre Guzzla cloth is great with this product to lift fluids and the spray out of the carpet while it is wet. The Micro Fibre Mitt also works well with this product. 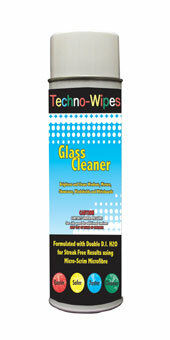 The Glass Cleaner Aerosol produces a foam that dissolves and loosens muck on all glass surfaces. It leaves a sparkling shine behind without streaks. Our Guzzla Micro Fibre cloth is perfect for this job leaving an extraordinary finish.